Brampton, May. 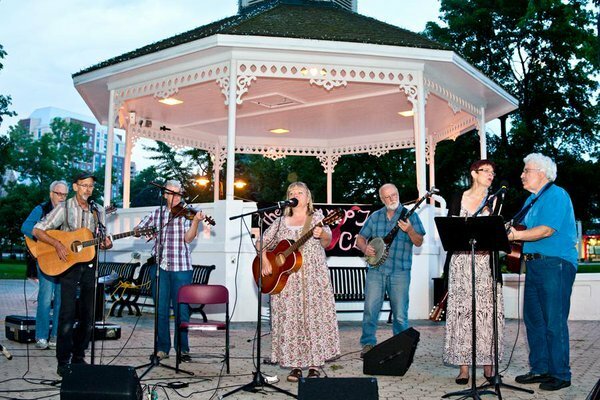 11, 2016 – Investors Group and the Downtown Brampton Business Improvement Area (BIA) are pleased to present the 2016 Thursday Night Concert Series in downtown Brampton’s beautiful Gage Park, Thursday evenings from June 2 to August 25th. This event will run from 7 – 9 P.M. Guests are invited to bring a lawn chair, a few guests and enjoy the local music for free. The event has been a running success for several years, in previous seasons attracting more than 500 attendees in a night. On the opening evening of June 2, The Jazz Mechanics – a returning favourite, will be taking the stage at 7 P.M. This year the line-up will include a variety of talented bands confirmed to perform as follows: The Jazz Mechanics, The Brampton Concert Band, The Brampton Folk Club, The David Love Band, The Jazz FM Youth Big Band, Jeff Sommerville, The Rose Orchestra, The Brampton Music Theatre, and The Pipes and Drums of the Lorne Scots. A tribute to Sinatra featuring Jeff Sommerville and The Jazz Mechanics will take place on July 14, during the Classic Cars and Legendary Stars event. Wellington Street will be closed and the show will run from 7 – 10 P.M where guests will be invited to enjoy the live concert along with the line-up of classic cars to be revealed downtown. The Thursday Night Concert Series will be a rain or shine event. Updates on any weather or other cancellations will be posted on the BIA’s Twitter, Facebook, and Instagram page. For more information: visit our website www.downtownbramptonbia.ca, Facebook page Downtown Brampton, Twitter @bramptondtbia, and Instagram @DowntownBrampton.